Are you shopping for a new car in Bentonville? 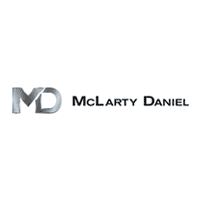 McLarty Daniel Automotive sells an immense inventory of new vehicles for shoppers in the Bentonville area. So if you are near Rogers or Springdale, we invite you to visit us today! We also offer a wide selection of certified pre-owned and used vehicles for buyers on a budget. If you are already the proud owner, remember to come to the service department to get everything from new tires, brakes, and batteries to major and minor auto repairs. Maybe you are a do-it-yourselfer who enjoys spending time under the hood. If so, get the OEM auto parts you need from our parts department. McLarty Daniel Automotive is a full-service car dealership driven to serve all of your automotive needs! Visit us today!